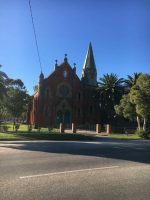 3rd Sunday - 9.00am Morning Prayer - Join with Uniting Church at alternating venues. Please check. 4th Sunday - 11.00am Communion - Followed by Bring & Share Lunch. 5th Sunday - Parish Service - Alternating Parish Centres. Every Saturday evening @ 6.30pm. Every Sunday 2.30pm @ Tyndale Church. Every Sunday 9.00am @ Tyndale Church. Copyright 2017 Pyramid Hill. All Right Reserved.